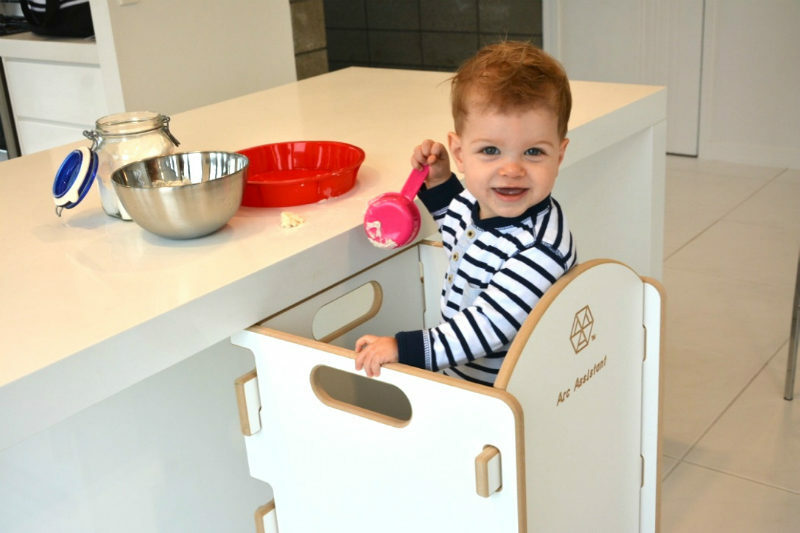 Arc Assistant toddler stool is the most helpful kitchen assistant of them all! 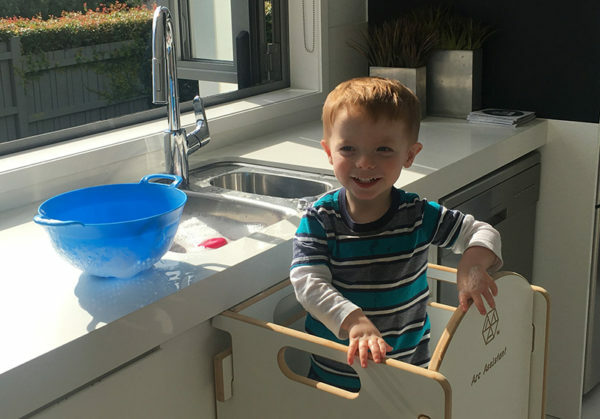 From our friends across the pond, Arc Assistant is the ultimate toddler safety stool in the kitchen for curious helpers and mini sous chefs. The Arc Assistant from Arc NZ Baby is putting an end to tots precariously balancing on a bench top or chairs being dragged into the kitchen while offering to help. Bringing children safely to the bench for them to oversee bench top happenings, the enclosed sides of the solid built Arc Assistant means once they’re in, they’re in! Kids stay put with no clambering up and down or getting under your feet. No tools are required for assembly (phew!) and the standing platform height can be adjusted to grow with your child. Priced NZ$229 from Arc NZ Baby, we look forward to seeing the Arc Assistant launching in Australia soon!